GEMINY is a Progressive band from Italy, was formed in late 2006 by guitarist Marco Manzani and singer Francesco Filippone. Bassist Francesco Molinelli immediately joined the band, and after a few time GEMINY completed with the arrival of Alessio Pucciano on the guitar. 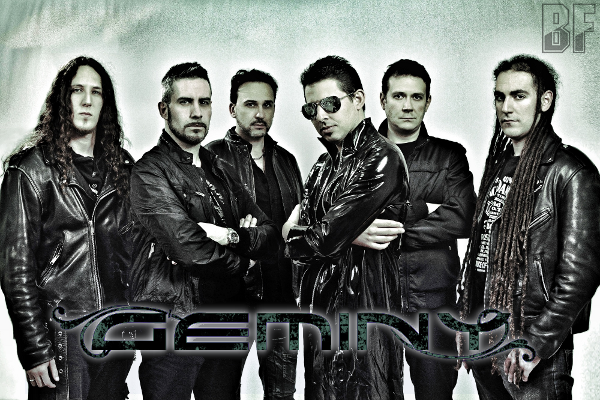 From the beginning, GEMINY started to work on their own, developing Marco's arrangements and Francesco's lyrics, and creating a blend of Progressive and 80's Heavy Metal. The singer also conceived the story, on which all songs are based, with the intention of making a concept album. In 2007 recorded their first promo "The Hidden Door" produced by Tommy Talamanca, with Maurizio De Palo on drums. This promo received very good reviews in many magazines and webzines. In 2008 GEMINY has been selected to partecipate to "Heavy Rendez Vous III" compilation of Crotalo Records and to "Nightpieces Vol. 5" compilation of Dracma. 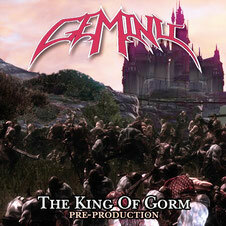 In 2010 they recorded a second promo "The King Of Gorm", produced by Tommy Talamanca and with Chris Parisi on drums. And in 2011 after the return of Maurizio De Palo on Drums and the arrival of Ivano Lavezzini on Keyboards GEMINY started the recording session of their first full length "The Prophecy" at Nadir Music with Tommy Talamanca as sound engineer and producer. The album release is scheduled for October 2012.